Hello Everyone! It's Sue Lelli here and I created a layout using a BEAUTIFUL sheet of 7 Dots Studio paper called Sweet Dreams (seen later in my post). I used the more muted side and what I LOVE about this paper is that it looks like it has a mixed media finish with layers even before you add the first thing! I used a photo that I enlarged from our 25th Anniversary vowel renewal. It's not B&amp;W but the colors are so subtle that I could add as much color as I wanted ~ which I did! I adhered the paper to a piece of burlap, pulling strings off of all 4 sides. Then I adhered the paper and burlap to hard cardboard because I can't decide if I want to either make this a wall hanging, frame it, or just put it in my book. Here is a close up of my collage of different elements ~ some Petaloo butterflies, a piece of a tape measure that says 25, a metal trinket and a tassel with a metal rose, a film strip ribbon by Tim Holtz, some of the burlap string that I just looped several times and then glued down, a cluster of Petaloo flowers, a wooden Art Parts LOVE word and a wooden heart both from Wendy Vecchi, a Christy Tomlinson rub on, and a piece of light pink lace ribbon. 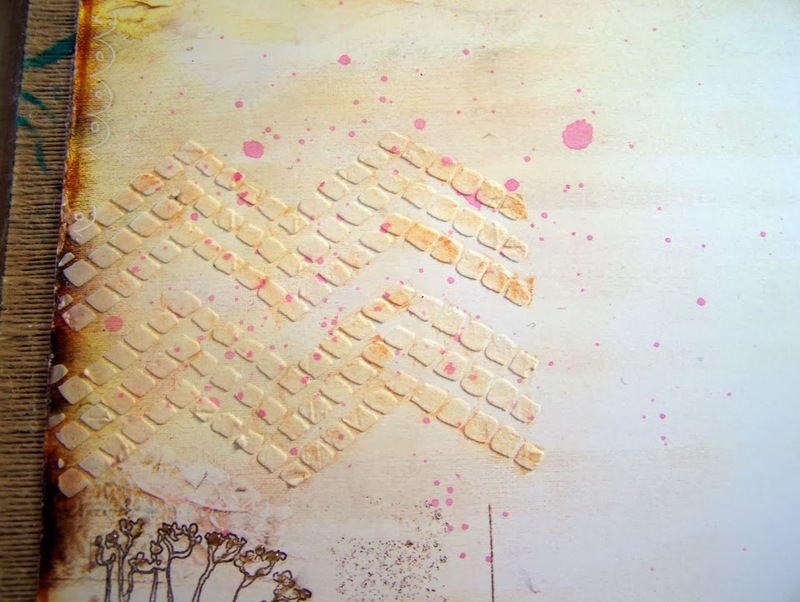 Here you can see the piece of Ranger watercolor paper that I painted with Tim Holtz Distress Paints and added pink designs using Picked Raspberry Distress Paint through the Tim Holtz layering burlap stencil. 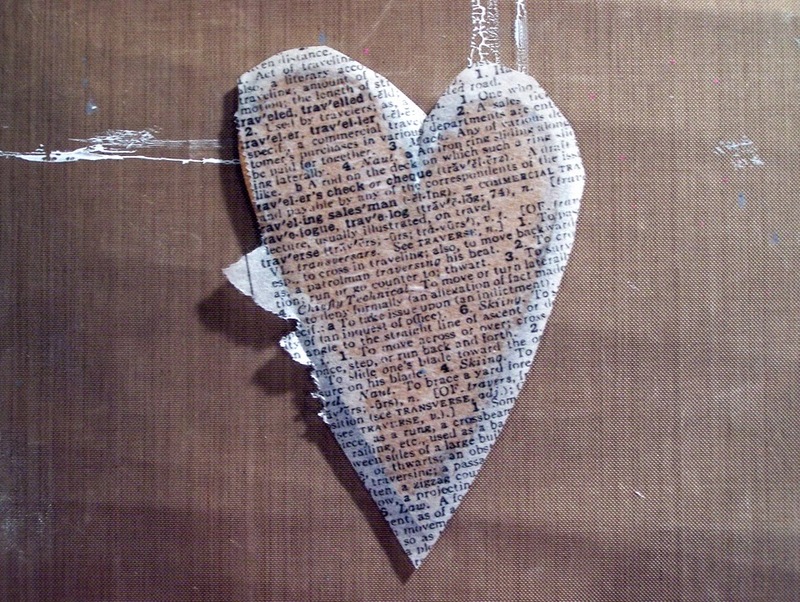 Here is the Wendy Vecchi wooden heart I first covered and cut around and glued using Tim Holtz terminology tissue. 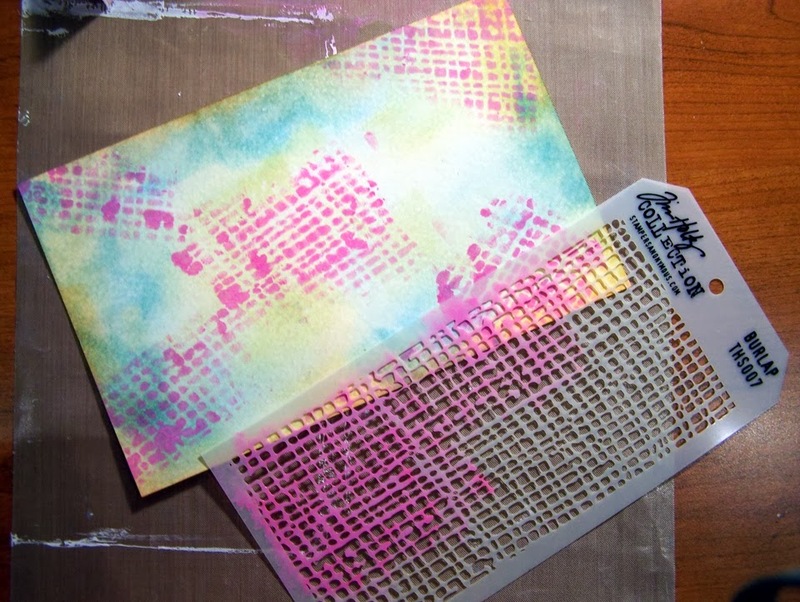 Then I used the burlap stencil again with Wendy Vecchi translucent embossing paste and then colors with Distress Paint splatters until it looked how I wanted it to look. 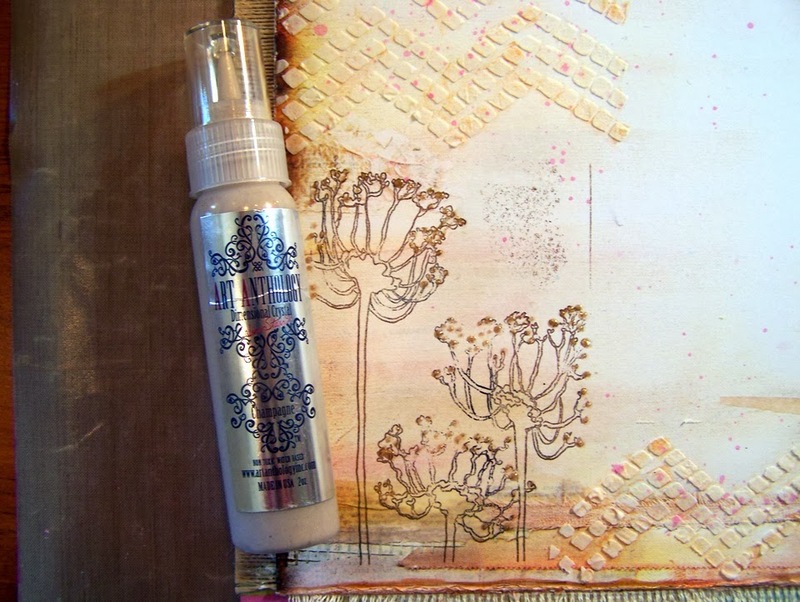 Then with my finger, I added Tim Holtz Distress paint in Antiqued Bronze. LOVE LOVE LOVE that color (almost as much as i LOVE chocolate!) and would add it to everything if I could! 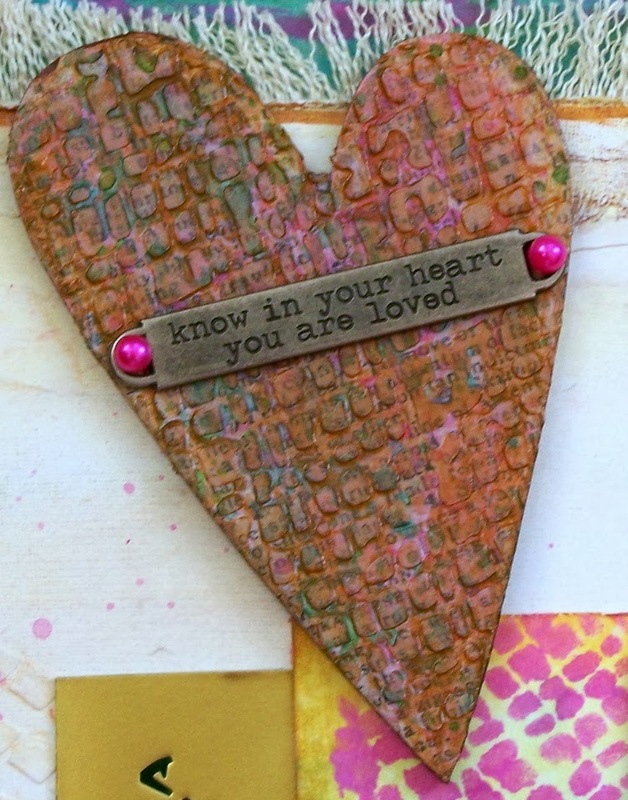 I added the Tim Holtz Idea-ology Word Band and two pink pearls to finish it off! 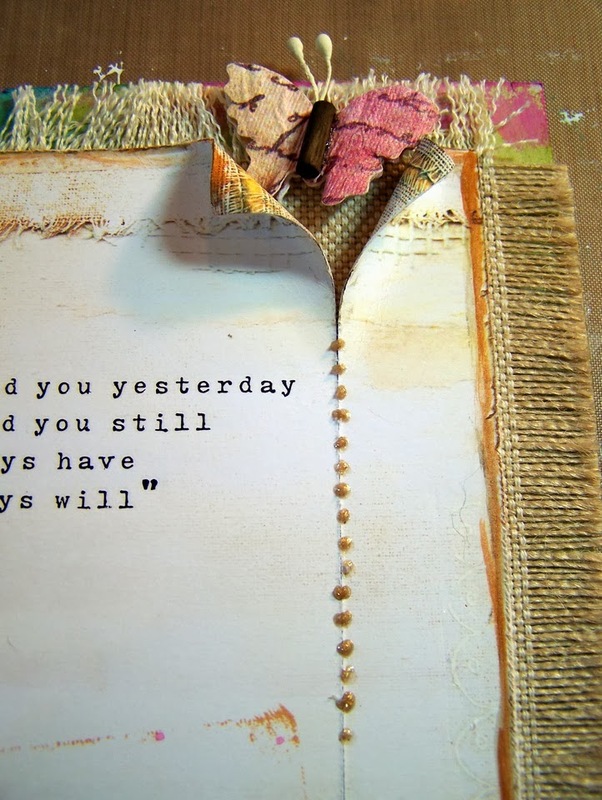 LOVE how the text just peeks through the translucent embossing paste and Distress Paints! 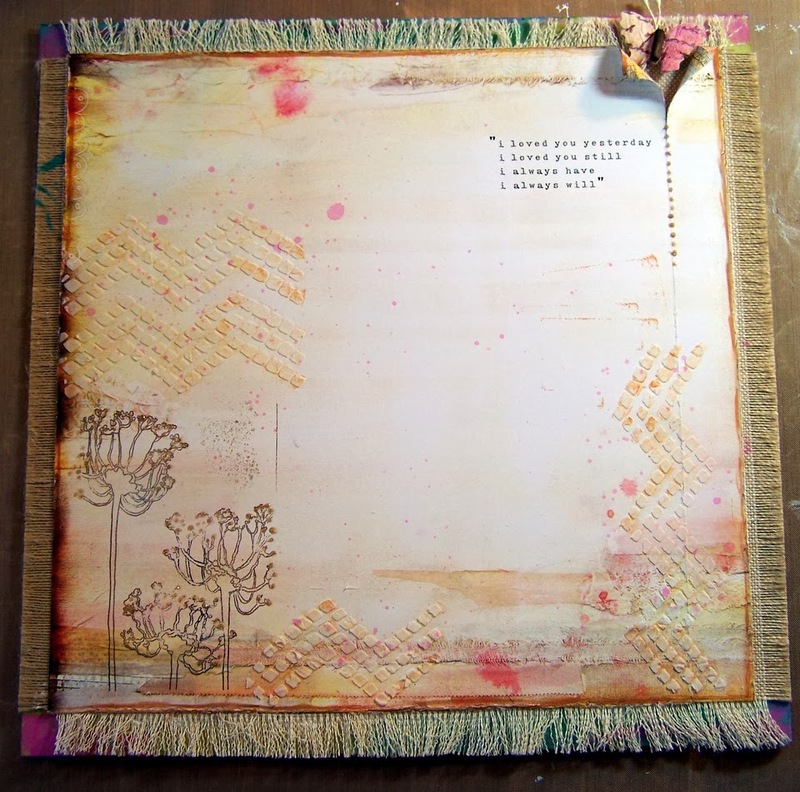 Here is the 7 Dots Studio paper called Sweet Dreams that jump started my entire layout. Like I said, I used the more muted side. This photo is to show you what the page looked like before I added all the stuff. Here is a photo of the Catherine Scanlon Funky Flowers stamp I used along with the Art Anthology Dimensional Crystal I used in Champagne. The sparkly lustre is a FAB detail! I used this chevron tile stencil with white embossing paste in several places on the page. 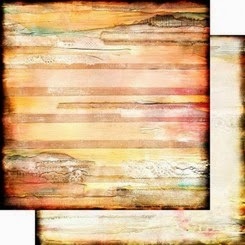 I used a paintbrush with TH Distress Ink in Antique Linen to make it look not so white. Here's a close up of the Art Anthology Dimension Crystal and the Petaloo butterfly where I ripped and curled the paper. All of the highlighted products are available in the eclectic Paperie Shop. If you want something you don't see, just email Kim, the owner, and she will get it for you! I hope you like my layout as much as I enjoyed making it! This is just fabulous! I love all the beautiful details and the texture is amazing! Beautiful layout, I love the heart! 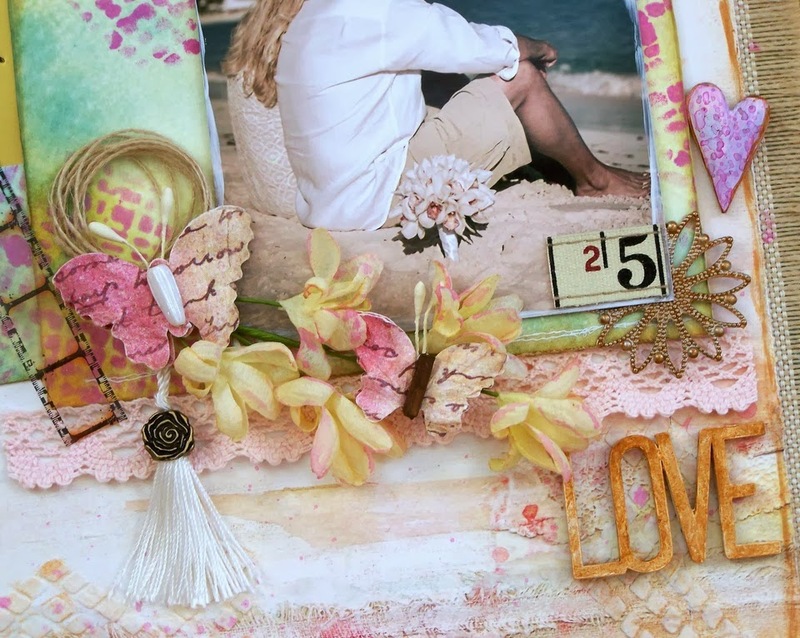 Very beautiful layout, love the textures. Oh my God! Love your page! The 7 Dots paper rocks! The tiled chevron stencil is amazing! And your embellies are fab!! Gorgeous page Sue! I adore the color combo and your cluster is fantastic. Beautiful page. I love that heart!!!! Such a great way to incorporate so many different elements. LOVE it. Stunning layout, love every single elememt you have added...looove it!